What Does CH Stand For? Of all mechanisms invented by watch-makers over the centuries, tourbillon is considered to be the most challenging watch mechanism that even made. 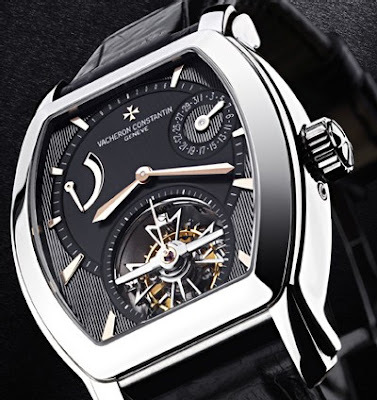 Technically, it is not a true complication and it is not required for a highly accurate timepiece. Connoisseurs do value for its engineering and design principles behind. Tourbillon is a mechanical clock or watch escapement invented by Abraham-Louis Breguet in 1795. It is designed to counter the effects of gravity and the other perturbing forces which can affect the accuracy of a timepiece. The effects of gravity were particularly problematic when pocketwatches were carried in the same pocketed position for most of the day. By mounting a tourbillon in a rotating frame (including the balance wheel, the escapement wheel, and the pallet fork), the effects of gravity will be canceled out (when it is rotated by a 180 degrees). The rate of rotation varies per design, but it has been generally become standardized at one rotation per minute.